Clumsy Chromaticity: Wantable.co December - first box! A few months ago, a new sub-type program popped up called Wantable. They recently changed up their service and their site and offered a really great promotion (Buy one, and gift two for free)...so I finally, along with two other ladies, took the plunge. Wantable.co offers two different boxes - a makeup box, and a jewelry box. Each are $40 for a single box, or $36 if you subscribe to their monthly box. The makeup box offers 4-6 premium full sized makeup items with a value of at least $80-$100, while the jewelry box offers 5 boutique jewelry items per box. I opted for the makeup box. This is a truly customizable box...you actually choose the types of products you're interested in receiving. In my case, I stated that I was interested in trying eyeshadows, blush, and highlighters, and I was not interested in bronzers, lip products, and nail products. You also answer questions about whether you prefer colors or neutrals, creams or powders, etc. They include tips on how to use each product you receive, as well. 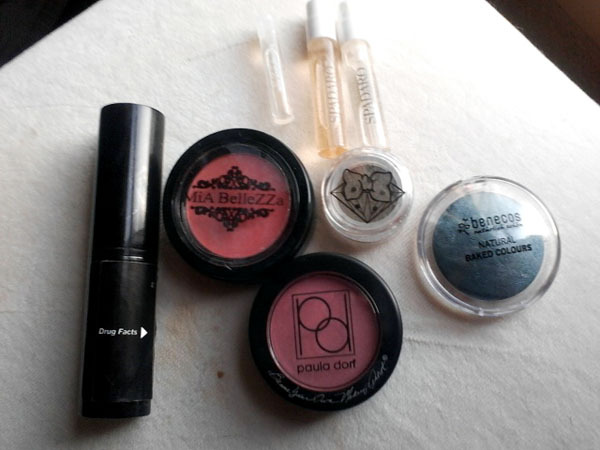 I received two blushes, two eyeshadows, a highlighter stick, and three bonus perfume samples. 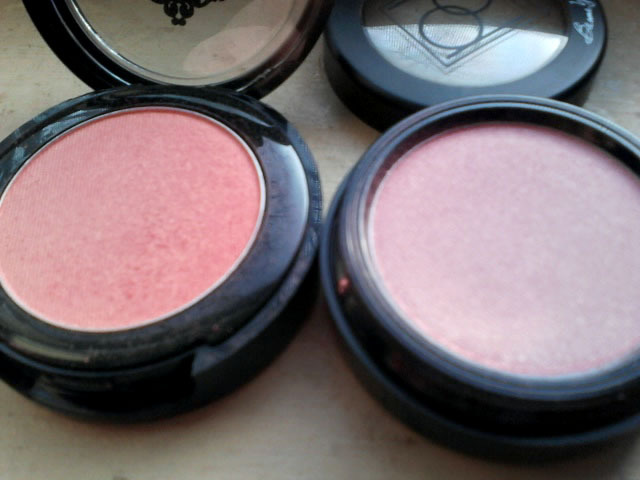 I was really excited that the two blushes I got were so different! 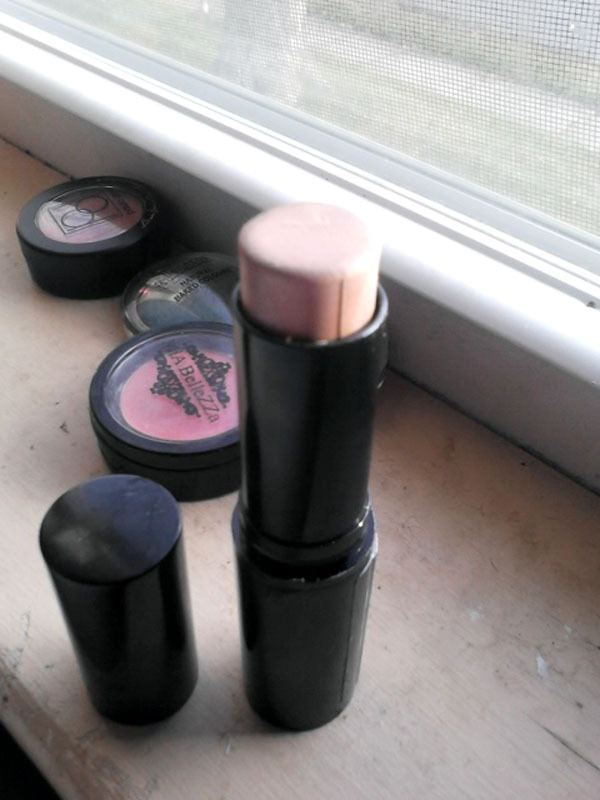 The first is Mia BelleZZa satin blush in Allure. It's a mineral blush that is extremely pigmented! It is a peachy color. It is quite possibly the most pigmented blush I've ever used, and the matte finish is lovely. It's soft and very blendable. The second is Paula Dorf cheek color in Ecstasy. It's a rosy pink shade with shimmer. This is a great color for me, and it is also very soft, buttery, and pigmented. Love it! 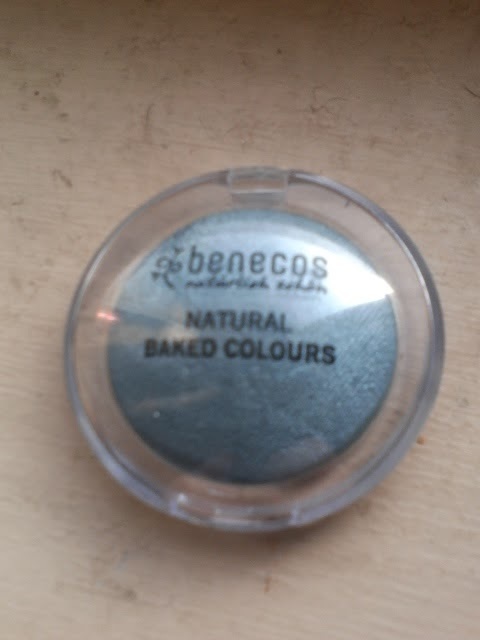 This is a natural baked eyeshadow by benecos in the shade Amazing. 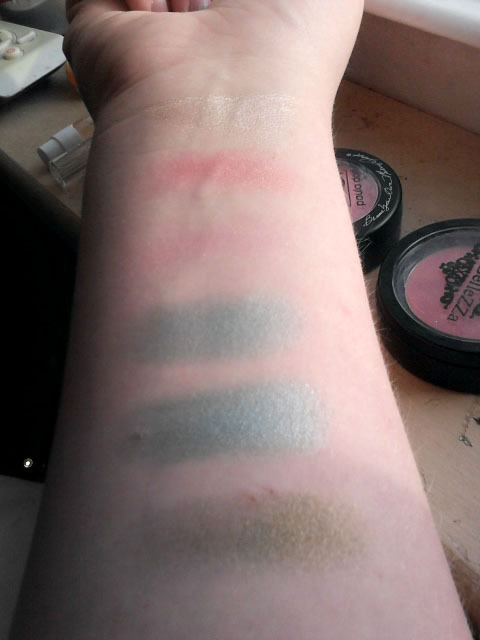 These shadows can be applied wet or dry and they have a great shimmer. This is a gorgeous blue color. 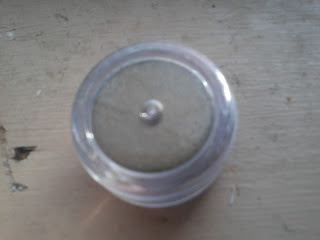 This is a loose eyeshadow by Swagger. The color is "Dirty Martini" and it's a beautiful olive green with golden shimmer. Can't wait to try this one! And this is my favorite item in the box...Sculpture highlighter stick by Verhoeven. The shade is spotlight, and it's a pretty vanilla color. This is amazing, it is super soft and creamy and gives a perfect glow. This has become my HG highighter, already. Verhoeven highlighter, Mia BelleZZa blush, Paula Dorf blush, benecos shadow applied dry, benecos shadow applied wet, and Swagger loose eyeshadow. These products are all very high quality and all new to me. I'm really happy with everything, and I may order another Wantable box in the future! Have you tried Wantable yet? i also nominated you for a Liebster Award on my blog!! It really is a great service. I am not ordering another box for a while just because i have too much makeup I need to use as is, but I will be purchasing again!